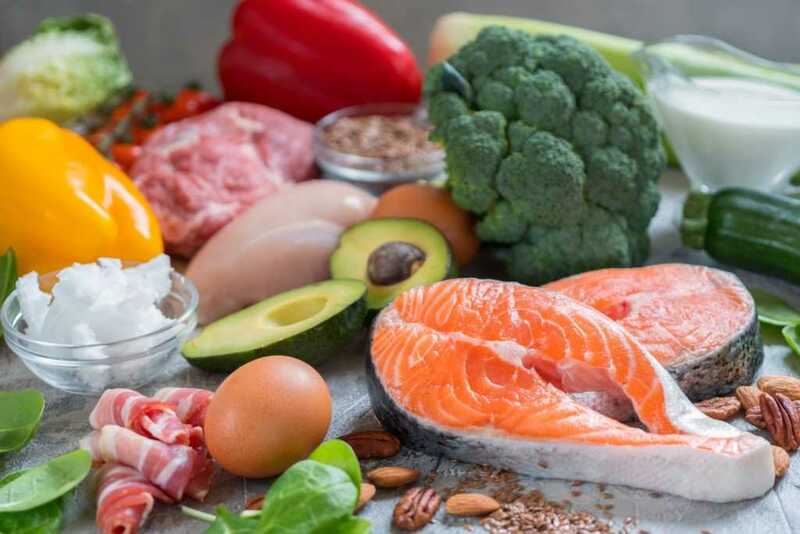 If you keep up on all things wellness related, you have certainly heard of the ketogenic diet, which is having a pop culture “moment.” But don’t be fooled – this high-fat, moderate-protein, low-carb way of eating is no passing fad. 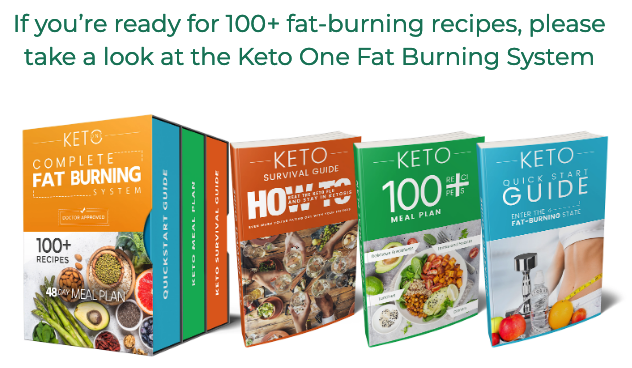 It’s research-backed with numerous studies demonstrating how eating keto has helped people restore energy, enhance brain health, stabilize blood sugar, lower inflammation, and so much more. But there is always room for improvement. A traditional ketogenic diet is meat- and dairy-heavy, and for many people, this isn’t the preferred way to eat. Some prefer a more plant-centric diet. This is one complaint I hear in my functional medicine clinic. Another common complaint is that eating this way is expensive, especially with all organic, grass-fed sources of meat and dairy. What to do…you want to save money, you want to save the planet, and you want to save your health. The solution? A more plant-centric version of the ketogenic diet! It’s great for your health and the environment – and bonus, it’s a lot easier on your wallet! Two people can eat a clean, whole-food, plant-centric keto diet for three days – breakfast, lunch, and dinner – for a mere $10 a day per person. First, consider where you shop. To stay within my budget, I started my shopping trip at ALDI and ended up at Trader Joe’s, comparing prices and availability as I went along. I chose some organic items, but for other things, I bought conventional (consult the Clean 15/Dirty Dozen list to see what items are best to buy organic, and which don’t matter so much). I also had some things on hand such as pantry staples and spices, so that was a money saver, too. I had these all on hand, so you’ll need to purchase them if you don’t – but one bottle, jar, or container of all these things will last you through many meals. Now for the fresh stuff – the items on this list cost me about $60 for two people, and should last through three days of meals with my ketotarian menu. They are divided by what I bought at ALDI and what I bought at Trader Joe’s. (If you don’t live near these stores, prices should be fairly comparable at markets local to you). You’re fully stocked. Now, here’s what to do with those thrifty groceries! If you have some nutritional yeast on hand, you can use it to increase your plant protein. It adds a pleasant cheesy flavor to any savory dish. If you have any plant protein powder in your pantry you could make a budget-friendly quick keto smoothie for a snack. Just add any leftover almond milk and coconut oil you have from your grocery run. All you need is one avocado per person. Cut in half, remove the pits, and crack an egg into each half of the avocado (for a total of two eggs per person). Season with sea salt and pepper, and bake at 350 until the eggs are cooked to your liking. Heat up some avocado oil in a skillet with some minced garlic and shallots. Cook, stirring often, until soft. Add in a can of coconut milk and heat until it starts to thicken. Toss in 5 cups of kale and some ground ginger and cook until the kale wilts. This is a quick, delicious lunch that will keep your brain sharp all afternoon. Using a julienne peeler, make long slices along one side of each zucchini until you get down to the seeded core. Rotate the zucchini and continue to peel until you’ve done all four sides. If you have a spiralizer, you can use that instead of a julienne peeler. Discard the core. It doesn’t cost anything when you don’t eat! Intermittent fasting also helps increase autophagy (your cells’ self-cleaning process) and helps you get into ketosis (the fat-burning state, as opposed to the sugar-burning state) faster. You’ll also find that once you’ve been eating this way for a while, you will become more keto-adapted. This means you will get less hungry (and less “hangry,” thank goodness!). Once you achieve a more sustainable fat-burning metabolism, those filling healthy-fat-rich meals will keep you so satisfied that you may not even think about food until lunch! This is one of my favorite lunches. It’s so simple, but so flavor-packed. Just roast up some cauliflower florets and mix them with some hot sauce and olives. Drizzle with fresh lemon juice and prepare to be dazzled! Although I eat a mostly plant-centric diet myself, eggs are one vegetarian keto food that I like to include. They are full of valuable nutrients at a low cost, and they are extremely versatile and satisfying. My family likes to eat them for dinner as well as breakfast. Frittatas are one easy way to make eggs into a meal. Whip up about two eggs per person, pour them into a baking pan, top with whatever ingredients you have on hand, and bake in the oven until the eggs are firm. Slice and serve! One of my favorite combinations is baby spinach, kalamata olives, basil, and a little vegan nut cheese. No time for a frittata? A scramble is an even faster way to have eggs, and just as customizable. Try some asparagus, red bell pepper, chives, and more vegan nut cheese for some additional healthy fats. What could be better for breakfast? Salads are perfect for lunch as they don’t have to be reheated so you can enjoy them wherever you are. I take one to work with me almost every day. Here’s one of my favorite salads. This is a staple in my house for a super filling, decadent-feeling family dinner. It looks and tastes fancy, but it could hardly be easier. Preheat the grill to medium-high heat. Hold the cauliflower head stalk-side down on a cutting board. Cut the cauliflower into 1½-inch-thick slices all the way across, yielding two large “’steaks” from the middle of the head, and florets from the edges. Trim and discard the green parts and the bottom inch of the stalk from the steaks. Save the florets for another use.